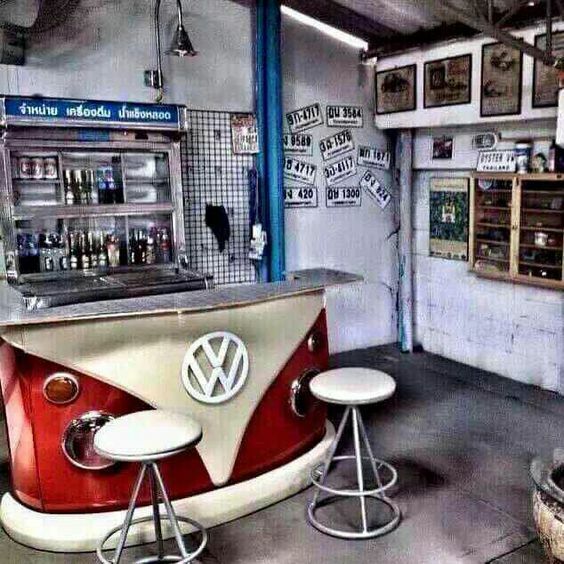 Man cave garages are an essential way for any man to relax and enjoy some much needed alone time. 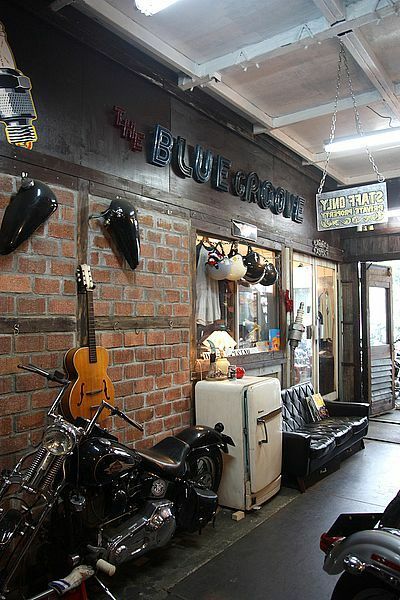 Below are some of our best man cave garage ideas! 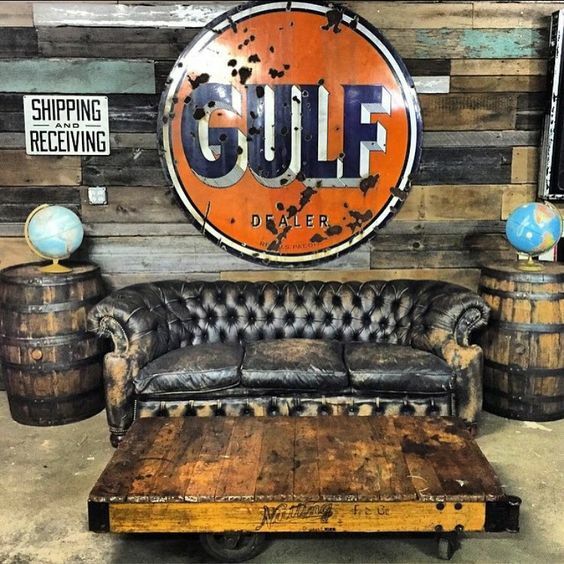 If you have decided to use your garage as a man cave, I’ve gathered some essential man cave garage ideas to help get your creative juices flowing. 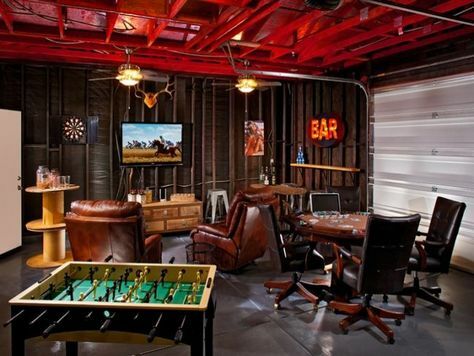 The garage is a perfect place for a man cave, because it is a separate place from the rest of the house that most likely doesn’t require and through traffic to obtain entrance to or exit from the house. 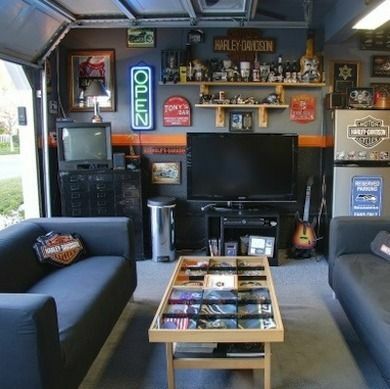 Your garage man cave can absolutely be a place of seclusion and comfort! 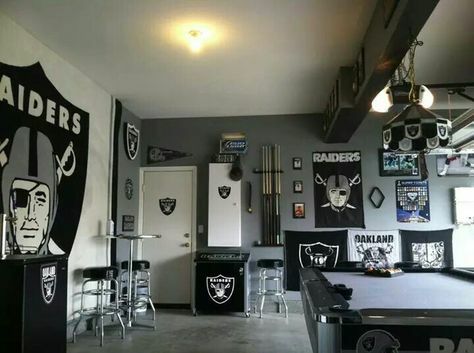 Your first instinct may be to put together all the visual design elements of from your man cave garage ideas that will make the space look and feel like YOUR space; however there are a few basic and essential things that you need to do first when making your garage into a man cave. Just because you have a million and one man cave garage ideas circulating in your head, don’t forget the functionality that you may still require from your garage. 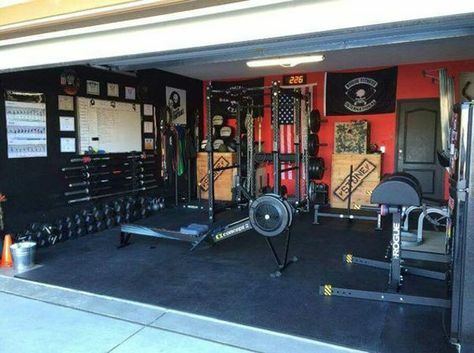 Maybe you don’t need to park your cars in the garage, but you still may need the garage for storage space – or a place to workout – or an area to work on home/hobby projects. You can easily add pieces to the your man cave garage ideas that help serve any necessary functions you still need your garage to perform. 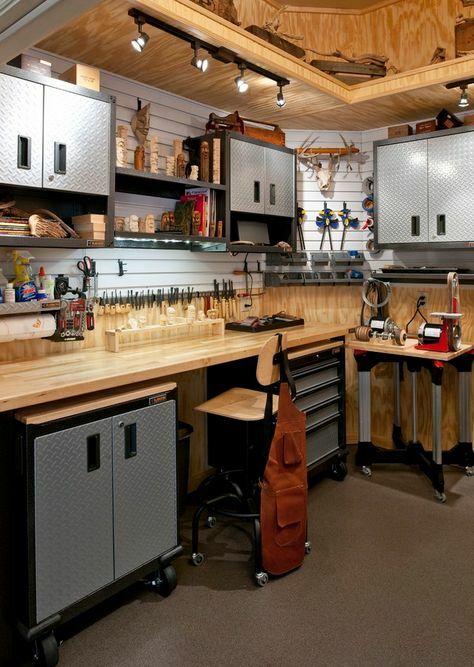 Stand alone tool boxes, or industrial shelving and cabinets won’t take away from your manly designs, but they will still serve as storage options for all the things you may still need to keep in your garage. Also, make sure to leave some open area that is free from any permanent furniture pieces so that you will have room to complete any projects or park a vehicle occasionally…..OR play any ‘manly’ games. 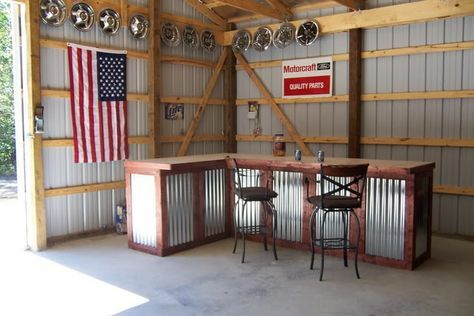 Whether you see visions of alcoholic drinks or fridges stocked with your favorite types of sodas in your mind when you think about your man cave garage ideas, a bar is a quintessential element of any garage man cave! 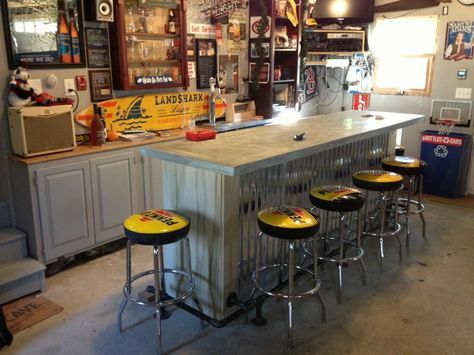 A bar area is a great place to house any snacks or drinks you want to keep in your man cave. 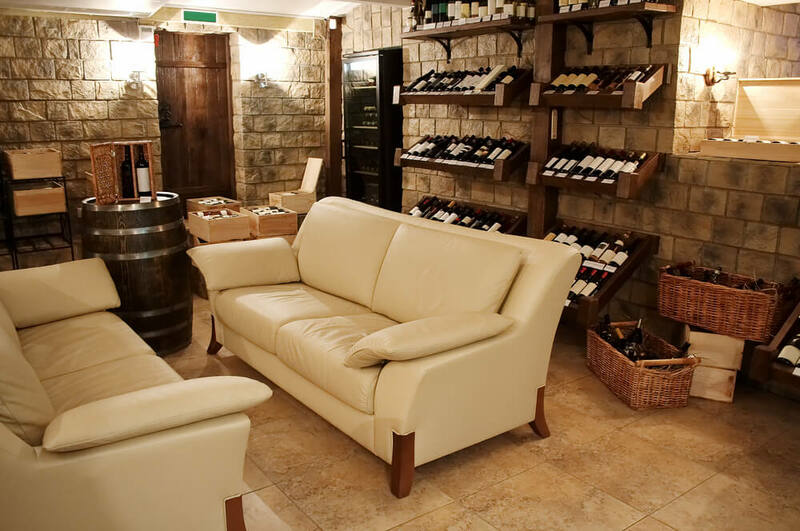 Also, you would have the actual bar area with counter space and extra seating for any family members or friends that you allow to enter your cave. 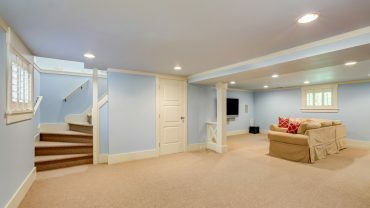 Insulation, Heating, and Air Conditioning:Garages are not usually insulated nor do are they typically heated or cooled. 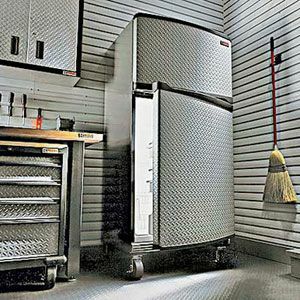 If you want plan on spending a lot of time in your garage implementing and enjoying all your man cave garage ideas, then you need to consider adding some insulation and figuring out whether or not you will need to heat or cool your garage. In warmer climates you could possibly add a window AC unit which would be a very cost effective and low maintenance way to cool your garage. For the reverse situation, there are also many portable heating unit options to choose from. Garages usually come equipped with just one standard light in the middle of the room. 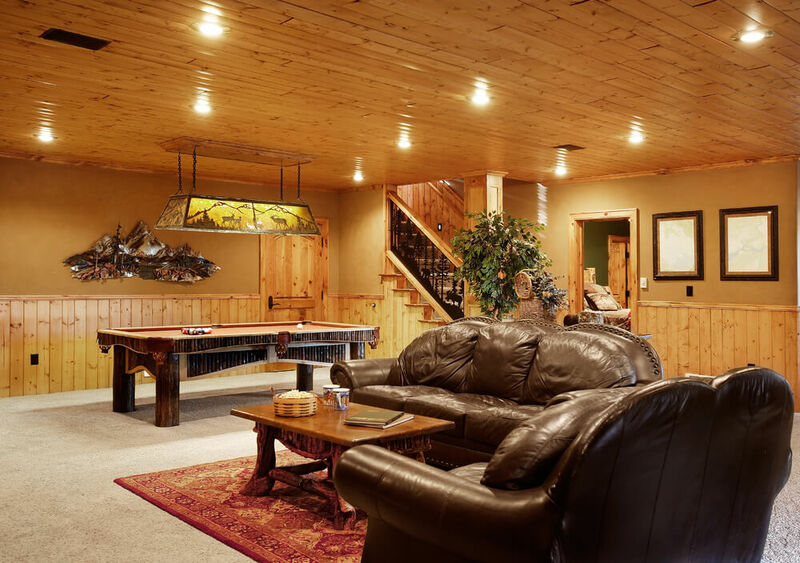 If you have big plans for your garage man cave, then you are going to want adequate lighting to see and do all the things you want to do. Consider adding lamps (floor or table) and string lights to increase lighting without the need of any complicated installation processes. 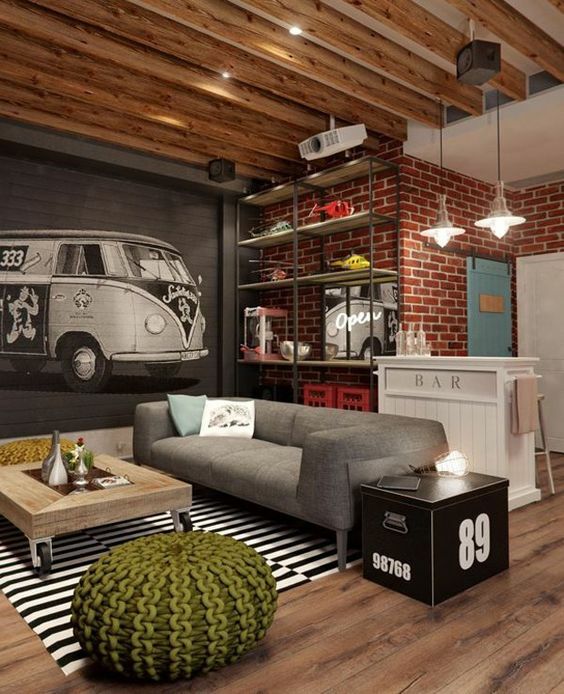 No matter what may come to mind first when you contemplate any man cave garage ideas that you have, make sure that you consider these four essential areas. 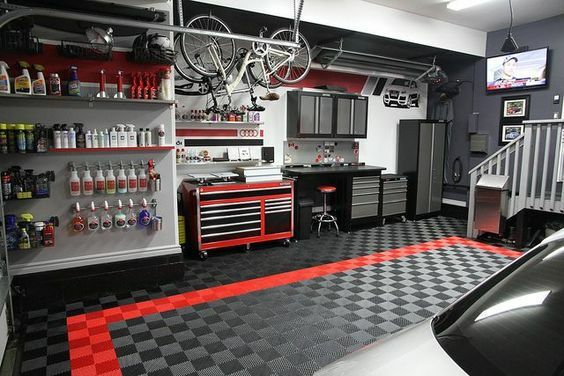 A garage is a great blank canvas to build your man cave in, and if you really take the time to consider the essentials, you will end up with a space you can really enjoy!